Sponsorship packages offer unique marketing opportunities, ranging from targeted category sponsorship, to the prestigious headline sponsor, to sponsored tables. Sponsorship is the perfect way to entertain clients, reward staff, and cement your position in the clinical R&D sector. 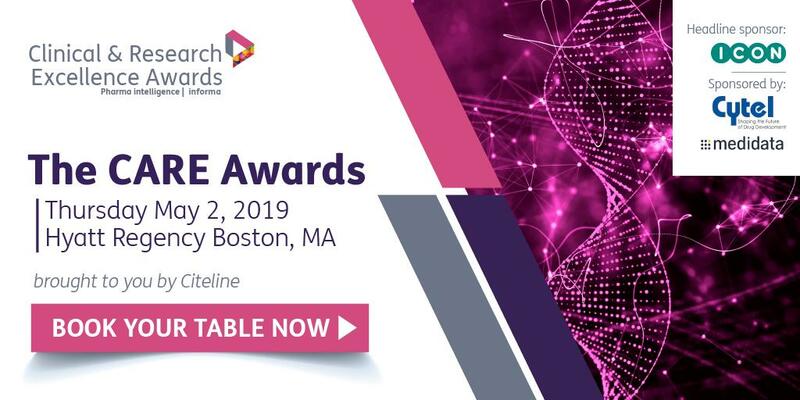 We expect hundreds of clinical R&D experts at this unique awards ceremony, powered by Citeline. In addition to brand exposure across a number of months, you will receive a complimentary table for the evening as well as admittance to the networking reception. Since the foundation in Dublin, Ireland in 1990, ICON's mission has been to help their clients to accelerate the development of drugs and devices that save lives and improve quality of life. They do this by delivering best in class information, solutions and performance, with an unyielding focus on quality at all times. They offer a full range of consulting, development and commercialisation services from a global network of offices in 37 countries. They focus their innovation on the factors that are critical to their clients – reducing time to market, reducing cost and increasing quality – and their global team of experts has extensive experience in a broad range of therapeutic areas. Cytel is helping to shape the future of drug development. As the world’s largest Biometrics CRO we improve our customers’ chances of development success through expert trial design and planning, efficient operational implementation and accurate data analysis. Cytel’s software for the design, analysis and execution of clinical trials is used by all leading pharmaceutical, biotech and medical devices companies. Quality comes first and our objective is to get it right- first time. Medidata is reinventing global drug development by creating the industry's leading cloud-based solutions for clinical research. Through our advanced applications and intelligent data analytics, Medidata helps advance the scientific goals of life sciences customers worldwide, including nearly 850 global pharmaceutical companies, biotech, diagnostic and device firms, academic medical centers, and contract research organizations. The Medidata Clinical Cloud® is the primary technology platform powering clinical trials for 17 of the world's top 25 pharmaceutical companies, and is used by 16 of the top 20 medical device developers—from study design and planning through execution, management and reporting.